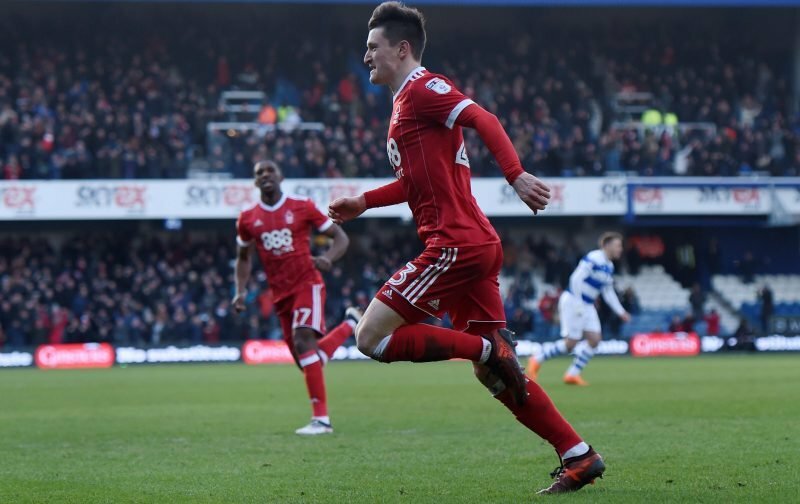 Joe Lolley had a hand in both goals as Nottingham Forest came from behind to beat Swansea City on Saturday afternoon, setting up Daryl Murphy’s equaliser and Molla Wague’s winner. Some supporters took to social media to shower the winger with praise. Against Swansea, Lolley made 71 touches, 39 passes with 80% accuracy, three chances and whipped in 10 crosses with 40% accuracy, drew two fouls, had four shots on the day and one successful dribble. It wasn’t a vintage performance by Forest on Saturday, but Lolley was the difference. The 26-year-old has made 44 appearances in all competitions this season, scoring and creating 20 goals. In the Championship, Lolley has made 84 successful dribbles (56%), 68 chances and averages 26 passes-per-game with 73% accuracy. He’s been outstanding in his first full campaign at the City Ground and has boosted Forest’s promotion hopes in the process. The Reds are currently ninth in the Championship with 57 points from 39 games, coming off the back of two wins and a draw from their last four. Lolley hasn’t missed a league game for Forest this season and has been one of the most in-form players in the division.